A stay on the Opatija Riviera would not be complete without a visit to the charming fishing village of Volosko. You'll be captivated by the magical appeal of this quaint small town which is an oasis for many painters and musicians. Its historic centre with narrow stone-paved streets, and the unique atmosphere of the fishing harbour and quay will once again inspire numerous artists during this year's Mandrać International Painting Competition, which will take place in Volosko on 27 and 28 August 2016. Charming Volosko will be a meeting point for creative artists who will create and display their artworks on the waterfront right by the sea. Their works will emerge right in front of the eyes of their colleagues and spectators. An excellent atmosphere and creativity will be felt at every turn in Volosko during the two days of the event. The first day is dedicated to young artists up to the age of 14, while the second is open to their older colleagues, who will compete in two categories: amateurs and professionals. The best artworks will receive awards and the event will also include interesting concerts in Volosko harbour. Visit Opatija and enjoy a carefree holiday. 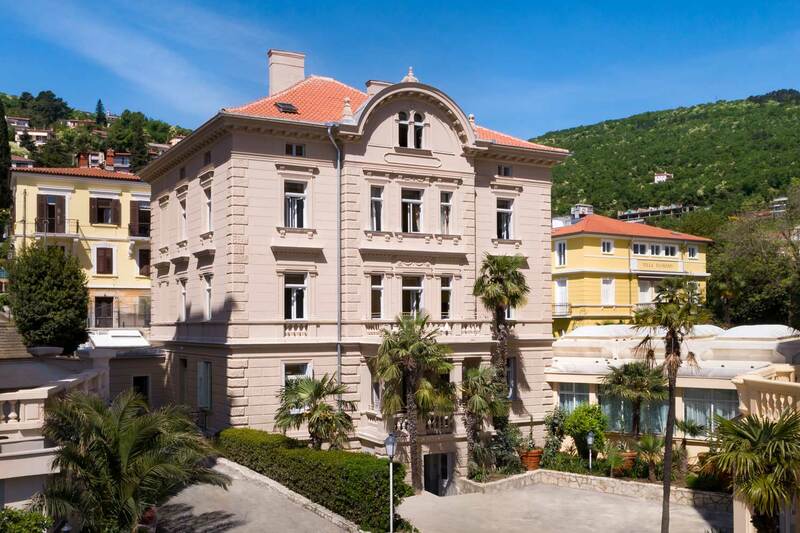 Maybe you'll find a painting or another work of art in Volosko that will remind you of your stay on the Opatija Riviera when you return home.